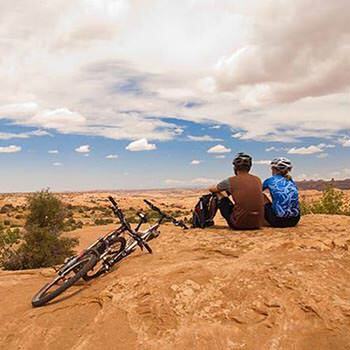 Located just 15 minutes east of downtown Moab, the Sand Flats Recreation Area is an outdoor enthusiast's dream. 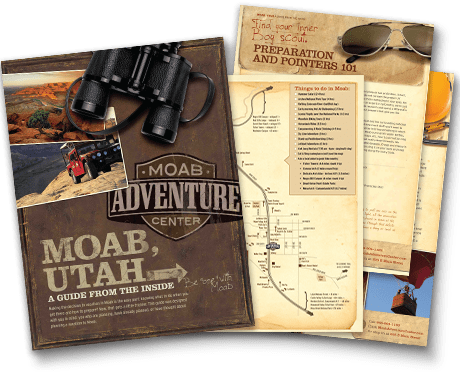 This area is filled with endless opportunities for hiking, 4x4 excursions, and mountain biking trails. Camping in the area is also available, so you don’t have to miss out on any of the fun! There are over 120 sites available for camping inside the area; and we’ve listed a few below to help make your decision easier. This area is co-managed through a unique partnership between Grand Country & the BLM. This loop is RV accessible and holds 21 campsites total. It is close to the slickrock trailhead and other 4x4 trails. There are 2 pit toilets available on site. 4WD not required. All sites in this loop are individual sites and are first come - first served only. This loop is RV accessible and holds 17 campsites total. It is across the road from the slickrock trailhead parking lot, and near other 4x4 trails. There are 2 pit toilets available on site. 4WD not required. All sites in this loop are individual sites and are first come - first served only. This loop has incredible views of the La Sal Mountains. With only 7 campsites available, campers can expect to feel much less crowded. There are 2 pit toilets located on site. 4WD not required to access these sites. All sites in this loop are individual sites and are first come - first served only. This loop also has incredible views of the La Sal Mountains. With 21 campsites available, campers can expect to feel much less crowded. There are 2 pit toilets located on site. 4WD not required to access these sites. All sites in this loop are individual sites and are first come - first served only. This loop offers only 12 sites and the only group campsite available at Sand Flats. Reserve Loop E "Echo" group campsites here. This loop is located next to the exit of the Fins and Things trail. The sites are quite exposed as there are few trees. The loop holds 10 campsites (a few being accessible to walk to from the road) and 1 pit toilet. 4WD is required to access sites. This loop, located among tall slickrock fins, is surrounded by awe-inspiring landscape. The loop holds 10 campsites and 1 pit toilet. 4WD is required to access these sites.